Eight Long Beach-area nonprofits recently received $76,000 total in grants from the Ronald McDonald House Charities of Southern California for their work in improving the lives of children and families within the community. 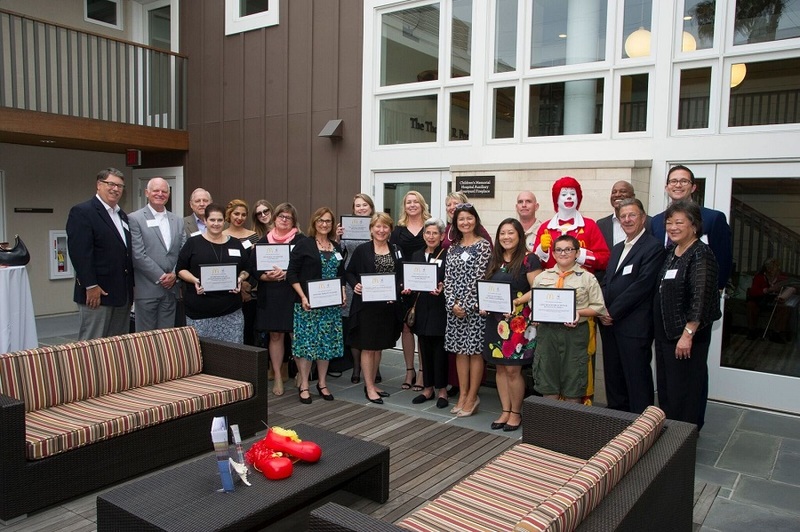 The nonprofits were honored as the 2016 Community Grant recipients at a reception held on Tuesday night at the Long Beach Ronald McDonald House. The Ronald McDonald House is dedicated to helping families with critically ill children stay together and supporting the health and wellbeing of children throughout the region. Since 1987, Ronald McDonald House Charities of Southern California has teamed up with local McDonald’s operators to donate more than $26 million for grants to support local nonprofits in their youth and family-based initiatives. Compton YouthBuild, South Bay Children’s Health Center, and the Boy Scouts of America’s Long Beach Area Council were among the eight Community Grant recipients. Development Director Marc Bonner attended the event as a representative of the Boy Scouts of America’s Long Beach Area Council. The scouts intend to use the funds to support 800 young scouts spread across 26 different Long Beach campuses, according to Bonner. “With this support, many inner-city low-income youth will paddle a canoe on the water, sleep in a tent they helped pitch, identify constellations in a dark sky, and feel the sunrise over a mountain side for the first time in their lives,” Bonner told the Post.